Impressions beauty spa in Miami Lakes was founded in 1982. 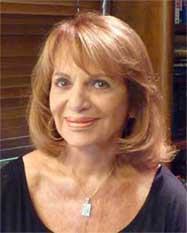 Not long afterward, Dianne Traub agreed to help out a friend by putting in a few hours a week as a receptionist. With her natural instinct for the qualities required to make beauty salon services successful in Florida, it flourished, her responsibility and authority grew, and she never left. When, in October of 2006, the third owner for whom she now managed the shop sought to retire, Impressions became Dianne’s Impressions—a premier salon that retains its loyal clientele, of whom many have moved away but continue to drive the extra mile. The secret ingredient that accounted for its success was the exceptionally warm and welcoming culture she instilled, affecting staff and client alike. The superior quality of service she insisted upon was a given; but it was the experience clients enjoyed while there that brought them back time and again. Simple things, like taking pains to match the professional needs and the personality of a new client with just the right stylist or nail service in Miami Lakes, made all the difference. If, for any reason, someone was unhappy with a service, all they had to do was say so; and it would be fixed. Satisfaction guaranteed, no questions asked. From its inception until her acquisition, not a penny was spent on any form of advertising or promotion—not even a token ad in the local newspaper. All of the shop’s spectacular popularity and growth came from referrals by happy clients—word of mouth alone. And, to this day, this continues to be the most important element accounting for the success of Dianne’s Impressions Salon. See the following article from the Miami Herald featuring this unique quality. Hope Hing: Back Bar Mgr. No one is more indispensable than Hope. Without her, none of the many tasks that are performed behind the scenes would get done. 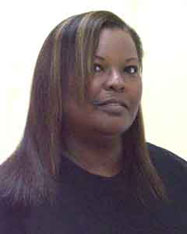 In addition to supervising the shampoos, conditioning, and other tasks that are required to prepare clients for their customary services, she is responsible for maintaining the inventory of the myriad chemical and drygood supplies that the stylists, nail techs and estheticians use in their work. She is also responsible for seeing that there are plenty of freshly laundered towels, smocks, and other items on hand at all times. As is Tania, Hope is a licensed, skilled cosmetologist and is occasionally called upon to jump in and do color, when the shop gets busy. 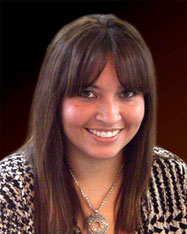 Tania Hernandez: Front Desk Mgr. Tania is a licensed cosmetologist who, although professionally qualified to serve as a stylist—and is occasionally called upon to use those skills—has found her niche at the reception desk. Her efficiency in scheduling appointments and finding creative ways to dovetail clients into the appointment book when operators have spare moments has endeared her to Impressions’ clients and earned the respect of the operators who serve them. And she has proven capable of managing the essential IT responsibilities for the shop. Tania has been responsible for writing and updating the shop’s operations and front-desk manuals, translating the shop’s apprentice manuals, and coming up with many of the new marketing ideas that have lured new clients through the doors. Many of the “spontaneous” parties that just seem to pop up from time to time have been her doing. Dianne came to work for Impressions Salon in February of 1989, responding to a friend’s request to help out for a few hours a week as a receptionist. It wasn’t long before it became obvious that she had a unique talent for working with the people on both sides of the desk; and within a short time, her responsibilities and authority grew to take advantage of those skills. Seventeen years later, when the third owner for whom she worked retired, Impressions became Dianne’s.